Dr. Edina Gorman was born in Sarajevo, Bosnia, and she moved to Virginia at the age of five. Coming from a war-torn country, she had a lot of dental needs. Through the experience of restoring her dental health, she was inspired to become a dentist herself. After completing her high school education at John Randolph Tucker High School, Dr. Gorman worked as a dental assistant throughout her undergraduate career at Virginia Commonwealth University. She then graduated with a Bachelor of Science in Biology and continued her education at the Virginia Commonwealth University School of Dentistry, from which she received her Doctor of Dental Surgery. Passionate to help out underserved populations, Dr. Gorman completed a GPR in Chicago at Jesse Brown VA Medical Center, where she honed her skills through providing dental care to veterans. Dr. Gorman also traveled to Jamaica to offer dental service to those in need as part of the Christian Dental Society. A member of the American Dental Association, the Virginia Dental Association, and the Richmond Dental Society, Dr. Gorman continues her passion by volunteering through the Virginia Dental Association’s Mission of Mercy projects. Dr. Gorman is very detail-oriented and committed to helping her patients fully understand their oral health and feel confident in their smile. She includes her patients during their entire treatment process, and treats each set of teeth with special care as if they were her own. Dr. Gorman enjoys meeting new people and values building long-term relationships with her patients. 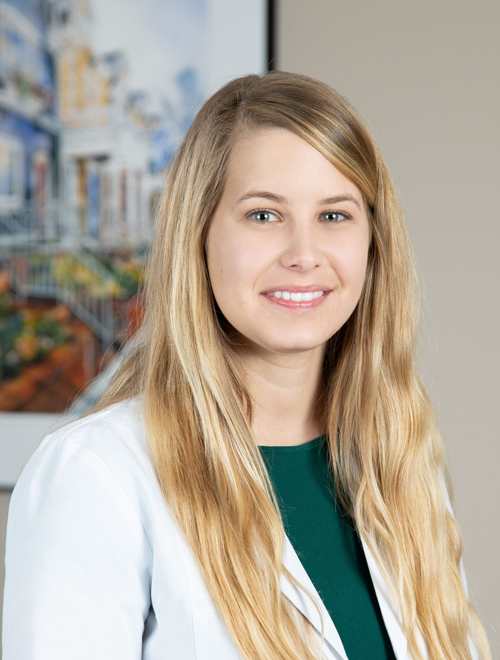 In her free time, Dr. Gorman enjoys rescuing animals, taking excursions to the James River, exploring new restaurants, and spending time with her wonderful husband Seth.